Red Cacao Chocolatier, Stirling - Tucked just off the main street of Stirling, Red Cacao chocolate shop and cafe features a display cabinet laden with decadent chocolates, flavoured block chocolates, single origin bars, chocolate coated dried fruits, nuts and more. The menu features Belgian Hot Chocolates, specialty drinks and chocolate creations. Red Cacao chocolates are handmade on site by chocolatier and founder Marcus Booth-Remmers who has trained extensively in Australia and Europe. On Friday and Saturday nights Red Cacao becomes a very popular dessert bar. Melba's Chocolate and Confectionery Factory, Woodside - There’s something pretty special about being in an actual chocolate factory – and not a soulless, faceless affair, but one where you can see people using traditional equipment to make delicious treats. 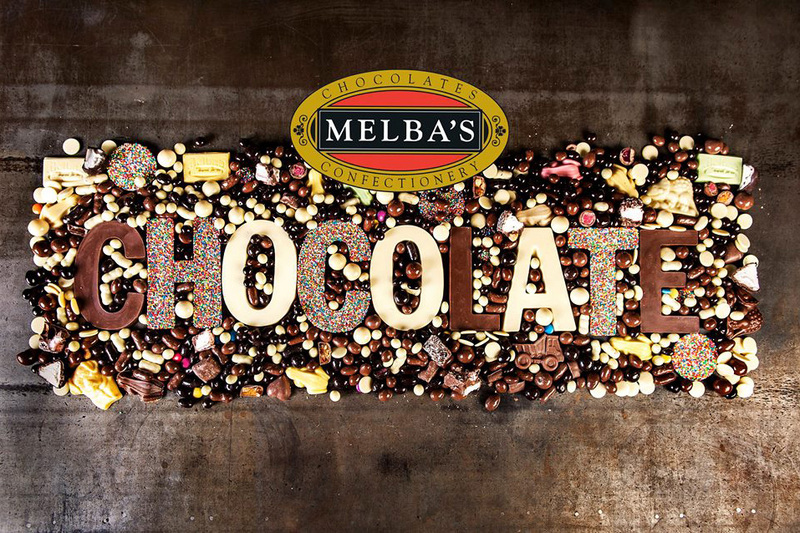 At Melba’s not only can you purchase a truly staggering range of lollies and chocolates, but also see the processes first-hand in the chocolate room, the cooling tunnel, depositing room, packing room, panning room and toffee room. Then do some tastings, stock up on goodies and relax at the cafe. ChocoVino at Hahndorf Hill Winery, Hahndorf - The ChocoVino experience at Hahndorf Hill Winery matches the winery’s boutique wines to the world's most acclaimed chocolate. ChocoVino is based on the concept of terroir, and it allows visitors to take their tastebuds on a journey of discovery while learning about gourmet chocolate and fine wine in a fun and informative way while enjoying spectacular vineyard views. 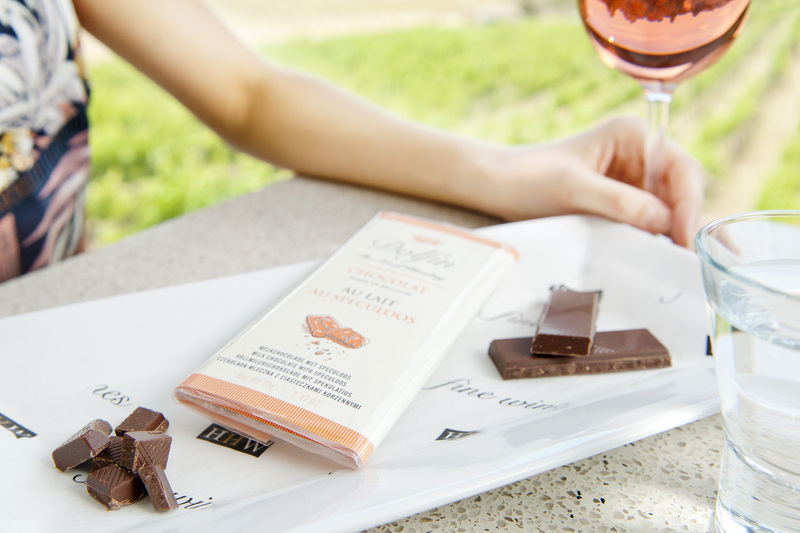 Prices range from A$24-A$27 per person for wine and chocolate matches, with 'chocolate only' options also available. Bookings are recommended. Chocolate @ No. 5, Hahndorf - This Chocolaterie and Chocolate Lounge in Hahndorf’s main street is home to all manner of irresistible temptations. Chocolatier Sarina Waterman creates artisan chocolates heavily influenced by European traditions with passion and care. Guilty pleasures abound at Chocolate @ No. 5 including renowned Belgian waffles, single origin chocolate from around the world, luscious desserts and cakes. 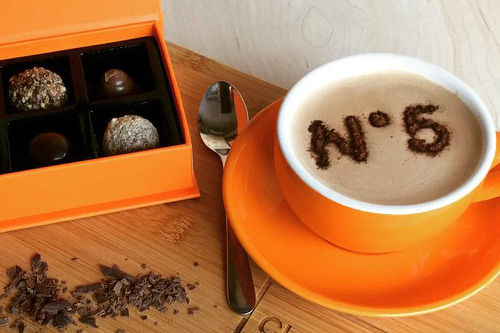 Owner Alison Peck is passionate about coffee so you can be sure of a top-notch caffeine hit. In warmer weather try the iced drinks and sundaes. 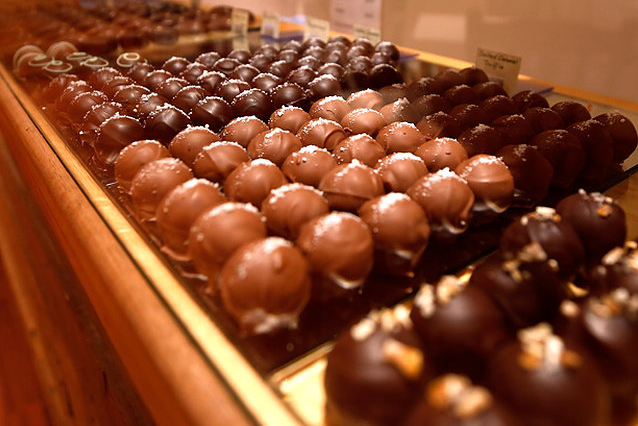 FruChocs Shop, Hahndorf - Visit the FruChocs shop in Hahndorf's main street to sample and buy this iconic South Australian treat (that's a ball of peach and apricot covered in chocolate for the uninitiated). But it’s not just FruChocs on offer as the shop stocks a huge range of Robern Menz products involving already delicious things (think honeycomb, lollies, Turkish delight, nuts, ginger, coffee beans, dried fruit) covered in chocolate. 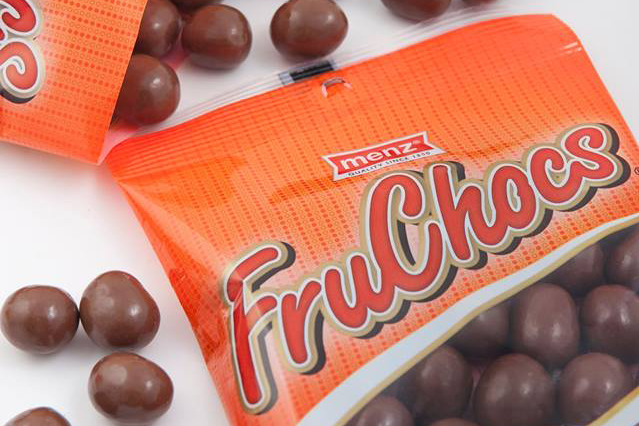 True fans can purchase FruChocs merchandise and even stock up on FruChocs ice-cream and FruChocs flavoured milk. Cocolat, Balhannah - At Cocolat’s Balhannah artisan kitchen, early each morning skilled chocolatiers, patisseriers and bakers set about preparing the handmade delicacies for which Cocolat is renowned. Cocolat's shop and cafe in Balhannah is a true haven for chocoholics, delighting with their extraordinary and indulgent desserts, award winning gelati, specialty cakes, chocolates and truffles, great coffee, sundaes and waffles. Being the home of Cocolat, their Balhannah store features new and trial products (only open Monday to Friday). 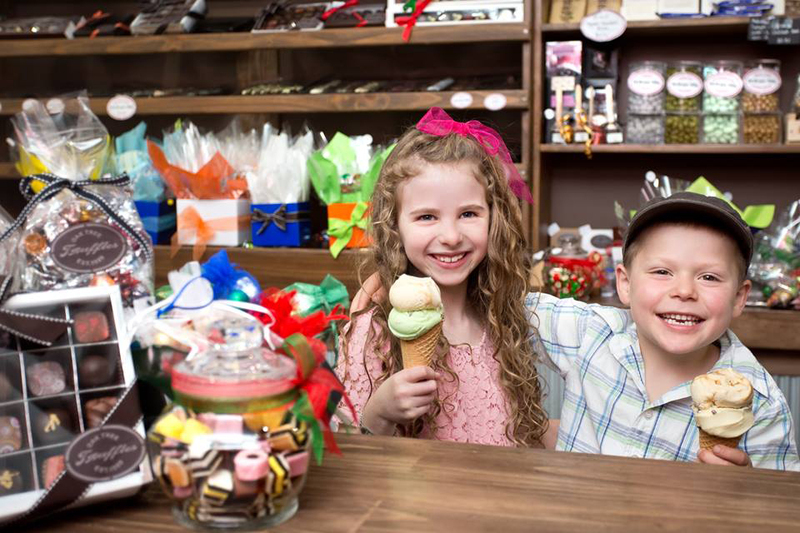 Traditional Chocolate and Lolly Shops - You'll feel like a kid again in these gems, discovering a treasure trove of sweet treats - some made locally and a huge range sourced from around the world. In Hahndorf's main street visit Humbugs and Hahndorf Sweets, both featuring all your childhood favourites as well as amazing local fudge in a spectacular range of flavours. 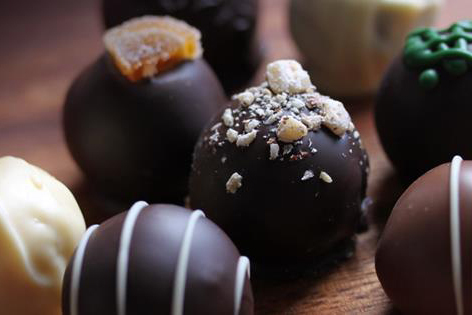 Oak Tree Truffles in Stirling (pictured) also has an excellent array of chocolates.